Supermarket clerk or principessa? Leonardo or Greenhalgh? 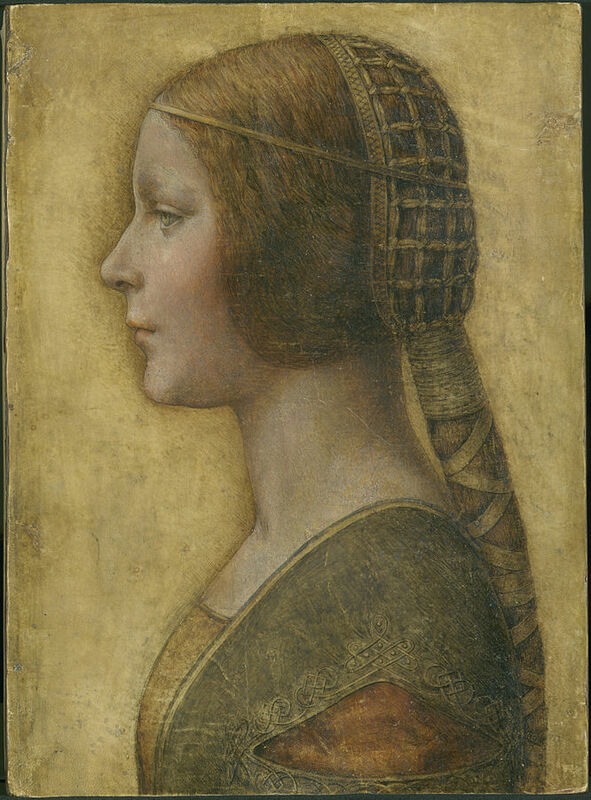 By various accounts, then, it would seem that “La Bella Principessa” is either a real Leonardo worth tens of millions; a 19th-century Italian Renaissance style drawing worth tens of thousands; or a modern fake worth hardly anything at all. The Sunday Times has published a report that claims Shaun Greenhalgh, a prolific art forger who has fooled the Art Institute Chicago, the British Museum, and countless others may be the creator of this work. He claims he created the work in the 1970s, depicting a “bossy” supermarket clerk named Alison. Doubts should now increase as to whether this is an authentic Leonardo da Vinci. It was purchased by a Canadian, Peter Silverman, who has been trying to demonstrate the authenticity of the work. It seems the work was made on vellum, but may have been done on the wrong side. The art critic Waldemar Januszczak, part of a consortium publishing a limited run of Greenhalgh’s memoirs, writes in the Sunday Times that Greenhalgh “bought an old land deed that had been written on vellum, and finding the ‘good’ side to be too ink stained to use turned it over and drew on the rough side instead, as Leonardo would never have done”. For now Silverman will keep the work of art at the Geneva freeport. In an attempt to burnish the reputation of the work, he claims he will offer 10,000 pounds to Greenhalgh if he could reproduce the work on vellum, and criticized Januszczak as “shameless”. Scott Reyburn, An Art World Mystery Worthy of Leonardo, The New York Times, Dec. 4, 2015, http://www.nytimes.com/2015/12/07/arts/international/an-art-world-mystery-worthy-of-leonardo.html. Josh Boswell and Tim Rayment, “It”s not a da Vinci, it’s Sally from the Co-op’, The Sunday Times, Nov. 29, 2015, http://www.thesundaytimes.co.uk/sto/news/uk_news/Arts/article1639169.ece . Author Derek FinchamPosted on December 8, 2015 Categories Art Law, AuthenticityTags art forgery, Bolton Forgers, La bella principessa, Leonardo Da Vinci, Martin Kemp, Shaun GreenhalghLeave a comment on Supermarket clerk or principessa? Leonardo or Greenhalgh?